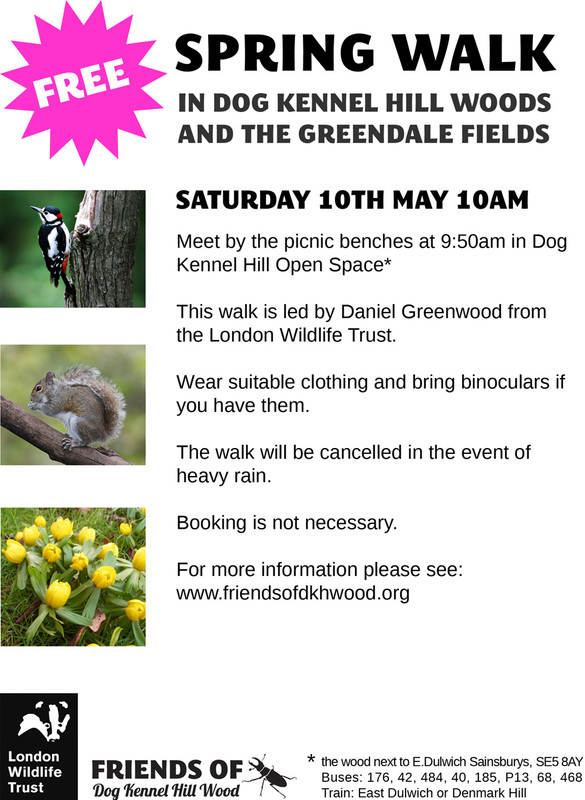 Please join us for a free guided walk around DKH Wood and the Greendale fields, led by Daniel Greenwood from the London Wildlife Trust. Explore the flora and fauna of this wonderful pocket of wildlife that is right on our doorstep. 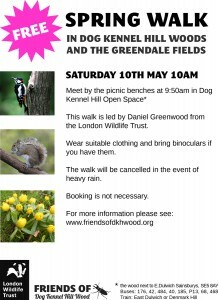 Meet 9:50am for a 10am start by the picnic benches in the park. The walk will last approx. an hour and a half. This event will be cancelled in the event of heavy rain. See what you missed last year..